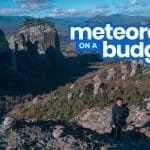 Here’s a BUDGET TRAVEL GUIDE TO ATHENS, GREECE! 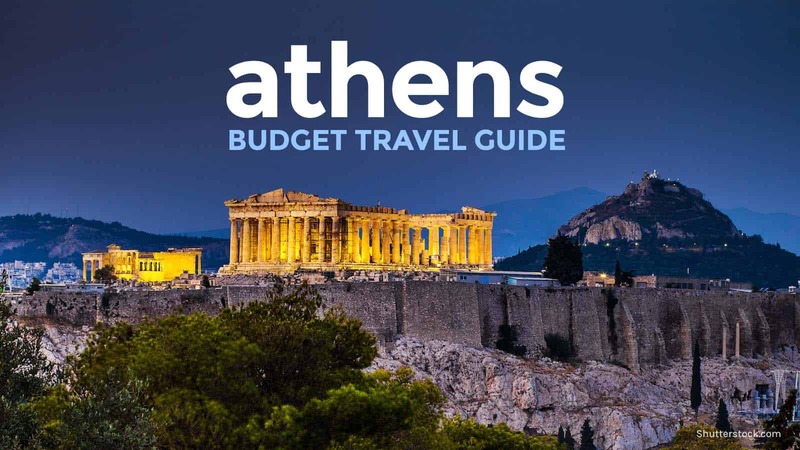 With sample ATHENS ITINERARY, breakdown of expenses, hotel and tour recommendations, tourist spots to visit, visa application guide, and more travel tips! The Athenians are proud of their city. The Athenians are proud of their city. I would be too if I were in their shoes. We were just visitors, but we were already proud of simply being able to set foot in a legendary city that — after everything it has gone through in its long, long history — continues to stand to this day. According to myth, Athena, the goddess of wisdom, competed with Poseidon, god of the seas, on who should become the patron of the then nameless city-state. Its king, Cecrops, sat as the judge. Whoever gave the better gift would win. Poseidon struck the Great Hill with his trident and from it emerged a salt water spring. Athena stomped her feet on the ground and from it rose the first olive tree. The Athenians and their king accepted the tree, thereby declaring Athena the winner. The olive tree would prove to be an integral part of the lives of the Athenians. Its wood can be used to build boats and houses, its leaves to become a symbol of honor, its fruit to spice up their cuisine, and its all-important oil to fuel their lamps, cook their food, heal their wounds, and brighten up their skin. They were so delighted that they even named the city after the goddess — Athens. This post is brought to you by Scoot. 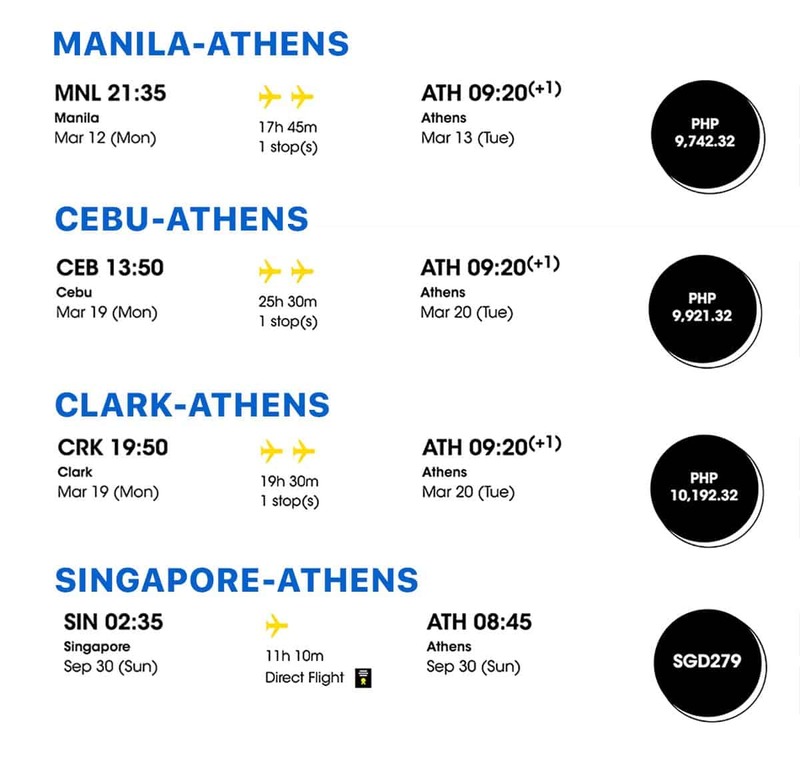 Scoot flies to Athens from Manila (via Singapore) 4X weekly. However, experts agree that it is more likely that the goddess was named after the city, not the other way around. With a recorded history spanning over 3700 years, Athens is one of the oldest, continually inhabited cities in the world and is regarded by many as the birthplace of the Western civilization (or at least many elements of it). Today, Athens is the capital and the economic, political, and commercial center of Greece. Although the Municipality of Athens (City of Athens) covers an area of only 39 sq. 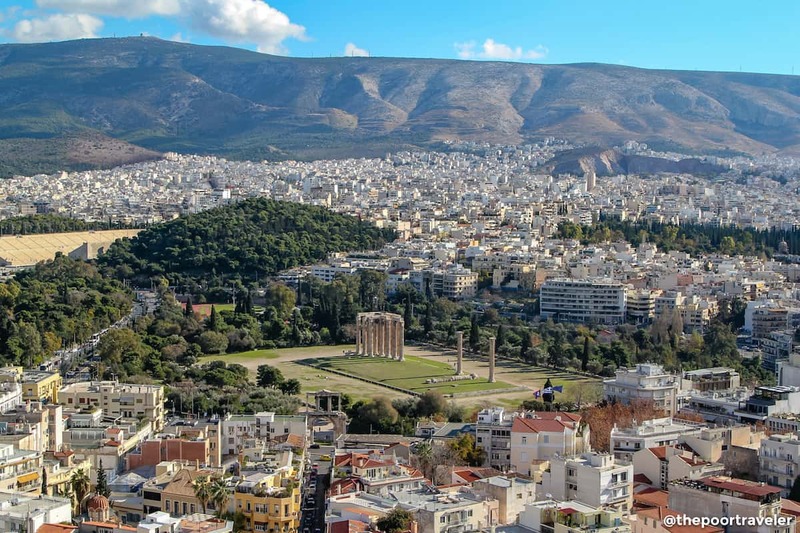 km wide, what most people outside Greece refer to as “Athens” is usually the entire Attica Region, which is composed of the entire urban area of Athens and several other surrounding municipalities. Attica is home to almost 4 million people, which is huge, considering that the population of Greece is just over 10 million. Language: Greek. However, English is widely spoken. Street signs are written both in Greek and English, so going around isn’t a problem at all. Modes of Payment: Cash is still the most common, but credit card payments are widely accepted too. 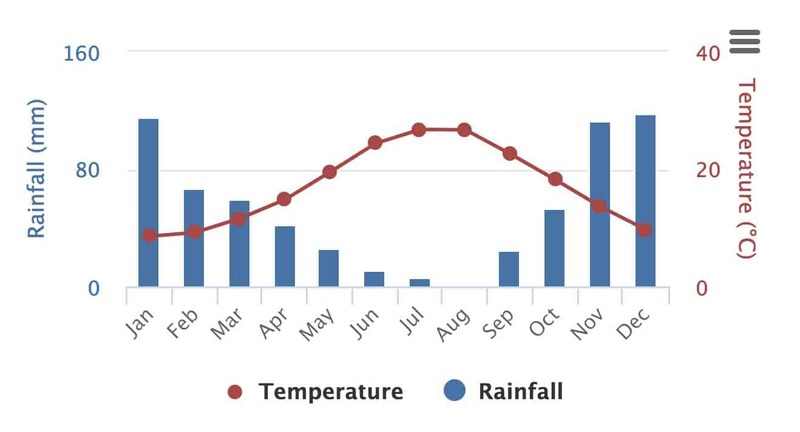 Spring to early summer (March-June) and autumn (September-October) are the most comfortable in terms of weather and crowdedness. It’s not too cold and not too hot, and you don’t have to squeeze your way through human mazes that the summer peak brings. Summer also sees the prices of hotels and flights go up. Winter has its own perks too. Athenian winters aren’t too harsh or unforgiving. Because it’s a large metropolitan hub, it doesn’t really go into hibernation mode (unlike the small towns on Greek isles). Most establishments and attractions are open year-round. 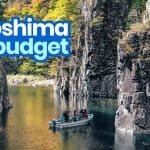 But hotel rates and airfares go down dramatically, something budget travelers can take advantage of. 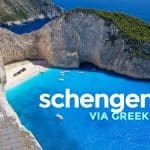 Greece is part of the Schengen Agreement, so a Schengen Visa is required for most nationalities. If you’re a Philippine passport holder, we have a separate post discussing the visa application process in detail.  Athens is served by Athens International Airport, located in the suburban town of Spata, 27km or about 45 minutes from the city center. Its official name is Athens International Airport “Eleftherios Venizelos”, after an eminent former Prime Minister. The airport is not too big, which is great because you don’t need to walk long distances looking for your check-in counter or gates, but it’s brimming with discoveries. Plenty of dining options both on the Arrival and Departure levels. There’s even a mini-museum inside! We’ll write a separate post about it soon. The Athens International Airport is located 27 km from the city center. It takes 45 minutes to over an hour to reach the city, depending on your mode of transportation and the traffic situation. You can travel by metro, by express bus, by regular taxi, and by Welcome Pickups taxi. What is the best option? It depends on many factors including the location of your hotel and whether or not you’re traveling alone or in a group. If your hotel is near a Metro Line 3 station, take the metro of course. If you’re traveling solo and on a tight budget, the bus is the cheapest option. But if you’re a group of three or more, the taxi may be the most convenient. 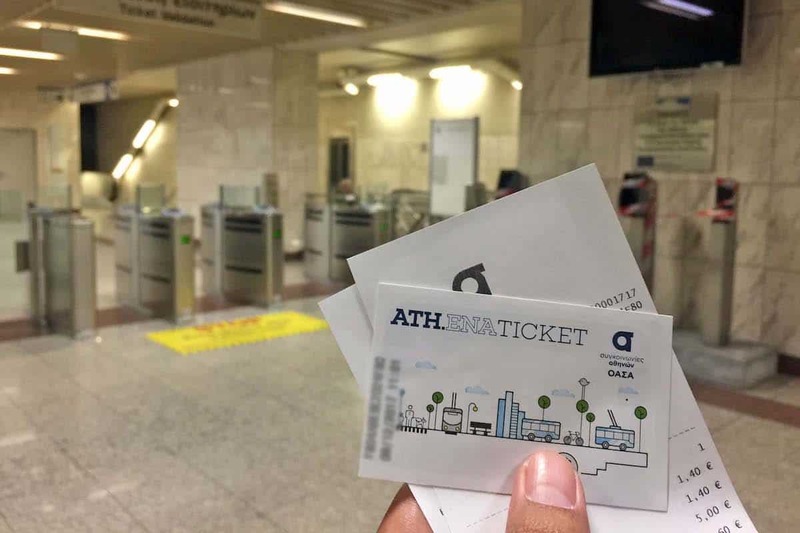 We created a more detailed post about these options here: Athens Airport to City Center. The airport is connected to the city center by Metro Line 3. This is great if you’re traveling alone and your hotel is near a Line 3 Station (or any other metro line). Travel time: Around 45 minutes. Fare: One-way ticket costs €10 (€5 if below 18 or over 65). 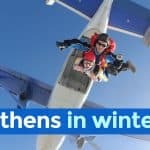 If your return flight is also via Athens Airport and is scheduled within the next 7 days, you can buy a roundtrip ticket (two-way) instead for only €14. This is the cheapest option if you’re traveling solo. There are 4 routes, but if you’re going to the city center, the bus you want is X95 (Syntagma-Airport). This is a good option if you’re a group of three or four. 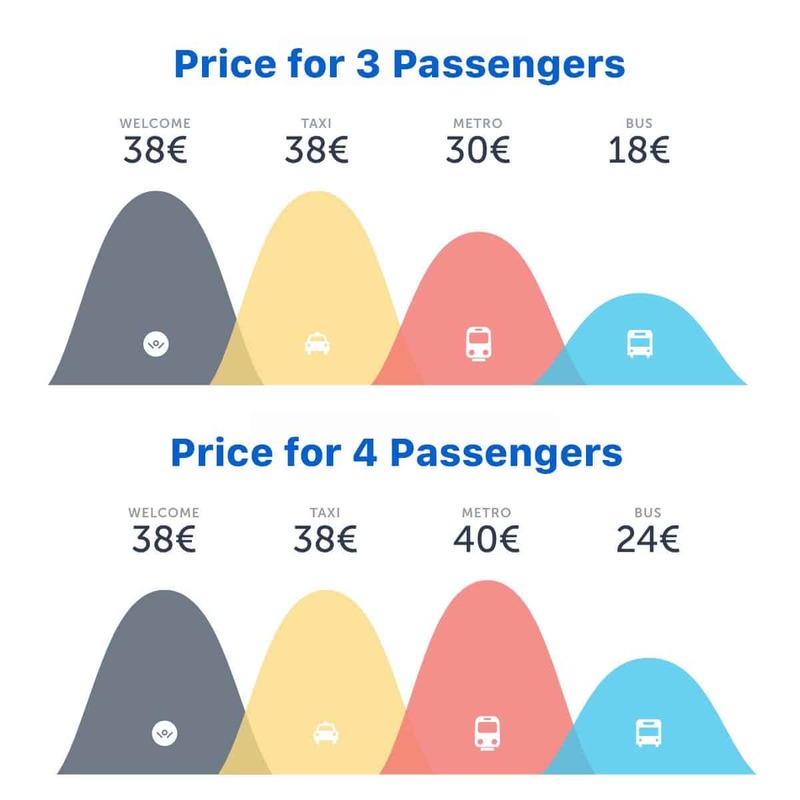 Fare: €38 (5am-12mn), €54 (12mn-5am). The rates include all applicable fees including toll fees. But be sure to confirm and come to an agreement with the driver before the trip. But you know what, if you’re considering to take the taxi, you might as well try Welcome Pickups Taxi! More info below! This is perfect if you’re a group of three or four because it will end up cheaper than taking the metro. The fare is the same as the regular taxi’s, but the service is so much better. We have experienced this ourselves and it was soooo good. An English-speaking driver greeted us and picked us up at the Arrival Hall, escorted us to his cab, provided us with a bottle of water, and gave essential information about Athens as we made our way to the city. 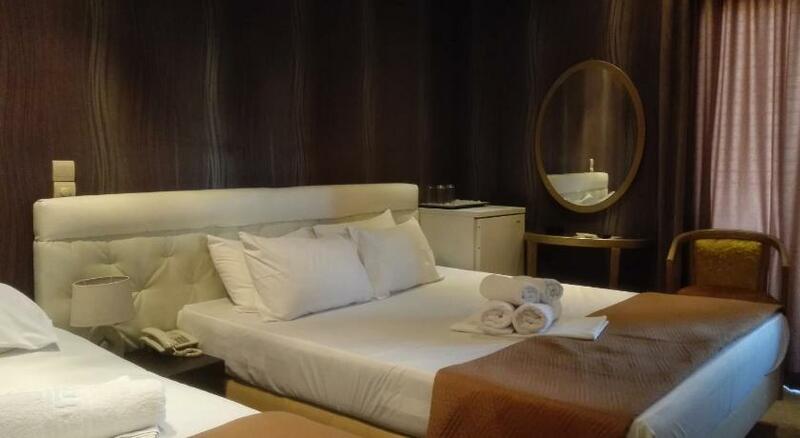 It’s also great for couples celebrating something special (honeymoon, anniversary) because it’s hassle-free. Line 1: Piraeus – Kifissia. Green Line. If you’ll be taking the ferry to the Greek Isles, you might find yourself using this line. Line 2: Anthoupoli – Agios Dimitrios. Red Line. Akropoli (Acropolis), Sygrou-Fix, and Syntagma Stations are part of this line. If you’re planning on visiting other parts of mainland Greece, this line will also take you to Larissa Station (aka Athens Railway Station). Line 3: Egaleo – Doukissis Plakentias – International Airport. Blue Line. If you’re coming from or going to the airport, this is your line. Note that eating and drinking are not allowed anywhere within the subway system. Some stations also double as mini-museums, exhibiting historical and archaeological artifacts. Thanks to the city’s new “integrated” system, getting around Athens is much easier now, even for first-time visitors. This system now uses only one ticket for multiple journeys, valid for the metro, buses, trams, and trolleys within the city (except those coming from or going to the airport). The number of rides or transfers isn’t counted, but each ticket is valid for the specified time. For example, if you get the 90-minute ticket, you can use it for as many times as you want until it expires 90 minutes later. Metro Line 3 journeys to or from the airport. You can use it until Koropi (the station next to the Airport Station). If you’re taking the Metro Line 3 but you’re not going to/coming from the airport — for example, from Monastiraki to Syntagma — it’s perfectly okay. Bus Line X80. The 90-minute and 5-day tickets won’t be accepted here. You can buy tickets from manned booths or from Automatic Ticket Issuing Machines (ATIM) installed past the entrance of every metro station. By default, these machines are in Greek letters, but there is an an English option. Just tap on the English button and follow the instructions. Validate? Yes, validate. Whether you’re taking the metro, the bus, or the tram, you’ll find ticket validating machines installed by the entrance. You need to validate your ticket before boarding the first time. You only need to validate it once. For instance, if you’re taking the metro and then the bus after, you only need to validate it upon entering the boarding area of the metro; no need to validate it on the bus. This ancient citadel and UNESCO World Heritage Site is the most imposing and the most important landmark in Athens (if not Greece). Its long history can be traced back to the 4th millennium BC, but it was in the 5th century BC when many of its structures were built. These include the Parthenon, the Erechtheion, the Propylaia, and the Temple of Athena Nike. There are two entrances to the Acropolis: the main entrance and the southeast entrance. If you need a tour guide, you’ll find the guide booth near the main entrance. However, this gate can get pretty crowded because it’s near the parking where tour buses unload massive groups especially in peak season. The southeast entrance has shorter queues and will let you see the Theatre of Dionysus, widely regarded as the first theater ever built and the birthplace of Greek tragedy. Entrance Fee: €20, Regular; €10, for minors and seniors. The Special Ticket Package costs €30 (Regular), €15 (Minors, Seniors). The New Acropolis Museum houses over 4000 artifacts from the Acropolis site that rises just next to it and its slopes. The museum stands at an archaeological site featuring ruins of Roman and Byzantine Athens, some parts of which can be viewed through its glass floor. Because the museum provides so much information, we recommend that you visit this first before seeing the actual Acropolis site, especially if you don’t have a guide. This way, you would have a better understanding and appreciation of the structures you would see there. 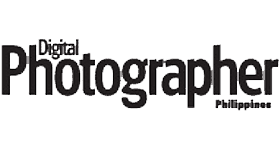 Note that photography is strictly prohibited inside the museum. The Ancient Agora of Athens is a public park (“agora” means assembly place) at the foot of the Acropolis. It harbors several notable ancient structures including the Temple of Haphaestus, the best preserved Classical Greek temple, and the Attalos Stoa. It also offers an excellent view of the Acropolis. A massive monument built in the 6th century BC in honor of Zeus. Watch the changing of the guards every top of the hour in front of the Tomb of the Unknown Soldier (between Syntagma Square and the Greek Parliament Building). Mt. 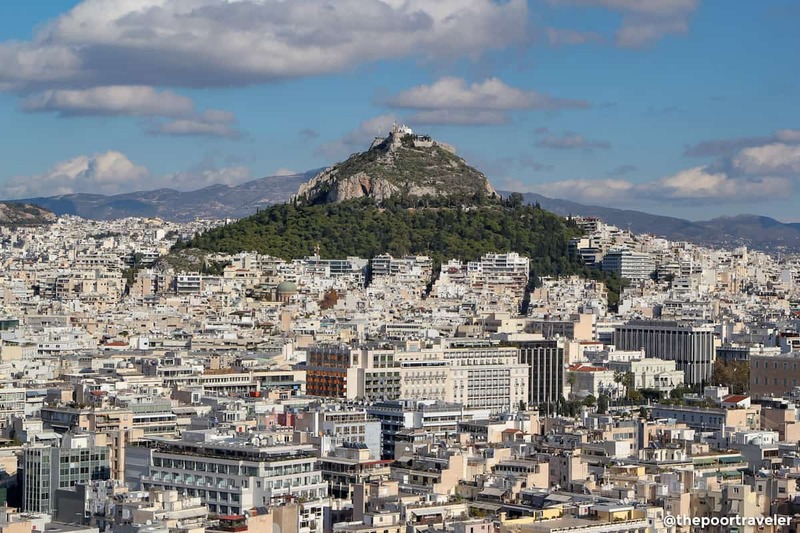 Lycabettus (Lykavittos) is just one of the ten hills that rise in the middle of sprawling Athens, but because it is the highest point in central Athens, it has the best view. Our cab driver said that they call it the “Balcony of Athens” because it allows an unforgettable view of the Acropolis standing just in front of it. An open-air theater is perched atop the hill, a favorite venue for concerts. The top of the hill can be reached in various ways: via Lycabettus Funicular, a funicular railway that straddles from the lower terminus along Aristippou Street in Kolonaki; by car/taxi, which is how we did it; and on foot, if you have the stamina. A colossal stadium built entirely of marble where the first modern Olympic Games happened in 1896. Here are other places you might want to visit in Athens and their corresponding admission fees (regular). If you don’t want to explore on your own and would rather join a guided tour instead, here are a couple of suggestions you might want to consider. This was definitely one of the best highlights of our time in Athens. 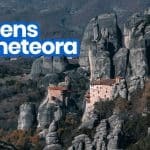 “This is My Athens” is a project of the local government wherein visitors get to explore the city through the eyes of a local. You tell them the things that interest you and you would be assigned a volunteer who would tour you around and provide local, insider insight about the places you visit. Whether you’re a history buff, a foodie, a photographer, or an outdoor enthusiast, you would find a personalized tour that would help you appreciate the city better. It’s something that you wouldn’t get from other tours. The best part: It’s FREE. Athens is teeming with educational and historical attractions, but it is also the best jump-off point for other destinations in Greece. Many of these tours can be done DIY-style if you have the time and you know your way around, but if you’d rather join a guided group tour. 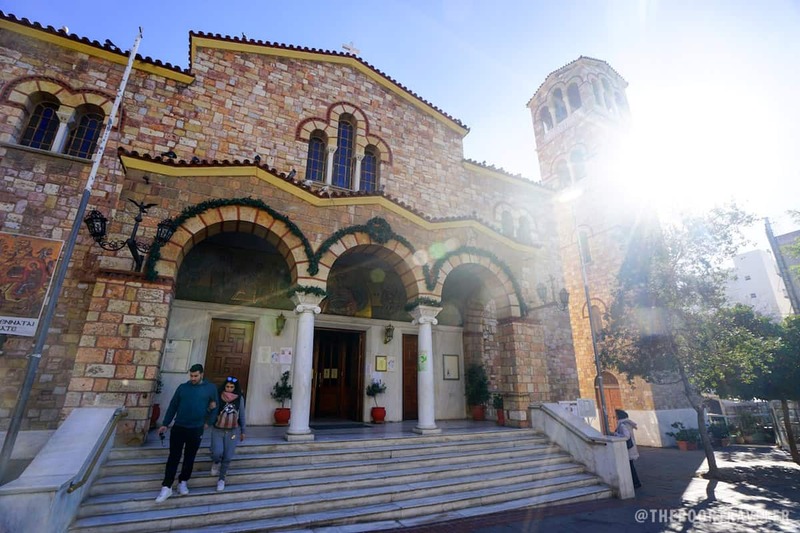 you’d be delighted to know that Klook now offers day tours from Athens. 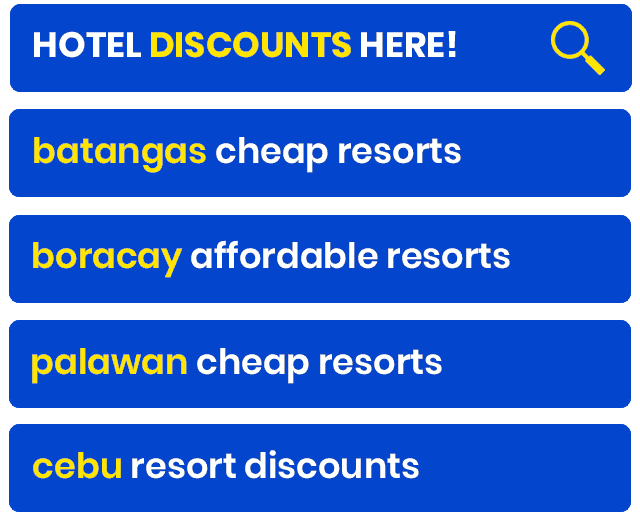 The published rates usually cover entrance fees, bus transfers, hotel pick-up, and a professional English-speaking guide (unless otherwise stated). These tours are not as cheap as we’re used to in Asia, but if you’re a fan of Klook tours, you might want to check them out. 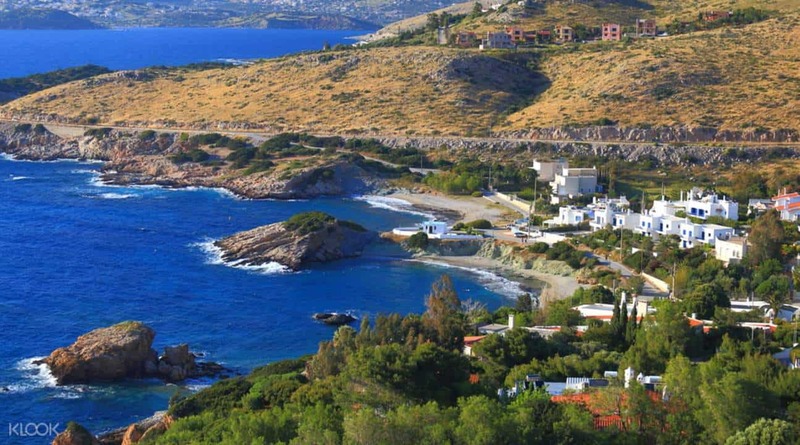 This half-day tour will take you on a scenic drive along the Saronic Gulf and Aegean Sea to visit the legendary Temple of Poseidon at Cape Sounio. Go island hopping around the Aegean Sea. 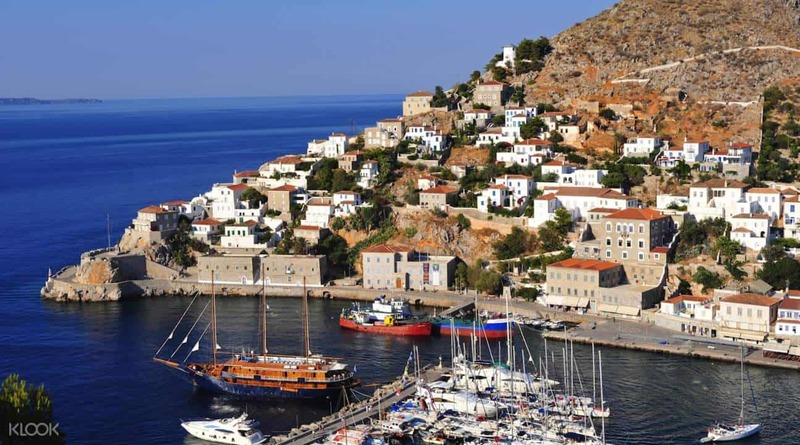 You’ll be stopping at three gorgeous islands: Poros, Hydra, and Aegina. Note that this only covers the cruise ticket, lunch, Greek dance show, and hotel pick-up and drop-off. If you choose to tour or see specific attractions on the island, entrance fees and guide fees will be shouldered by you separately. 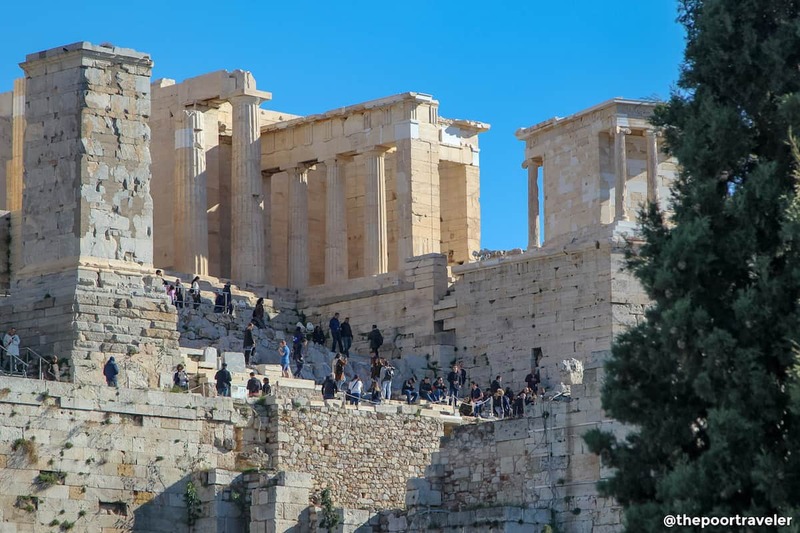 When we asked our local friends where in Athens first-time visitors should stay, one of them responded with, “If you can see the Acropolis towering above you, that’s a good place.” And after our trip, I began to understand and agree with him. Plaka. Said to be the city’s oldest neighborhood, it lies in the shadows of the Acropolis. 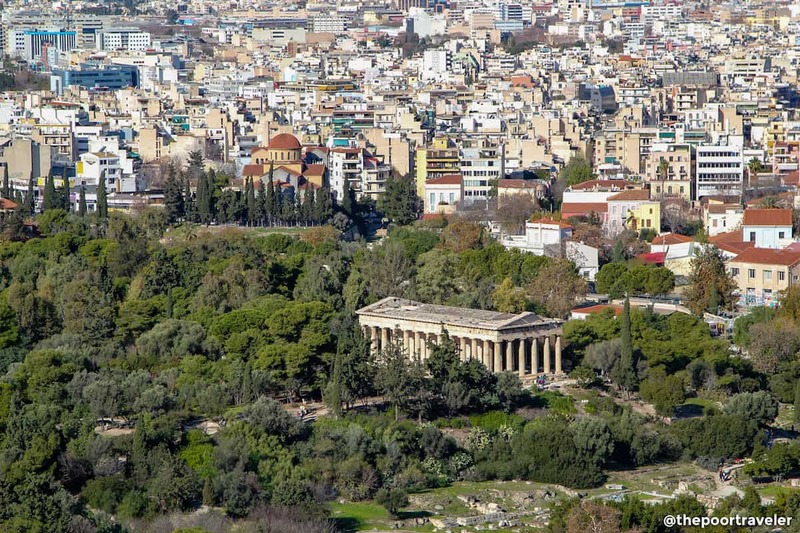 It’s pedestrian-friendly, and most of the city’s top historic spots like the Acropolis, the Acropolis Museum, Hadrian’s Library, and the Ancient Agora (including the Temple of Hephaestus) are just around the corner. Lots of souvenir shops, cafes and restaurants, too. Monastiraki. 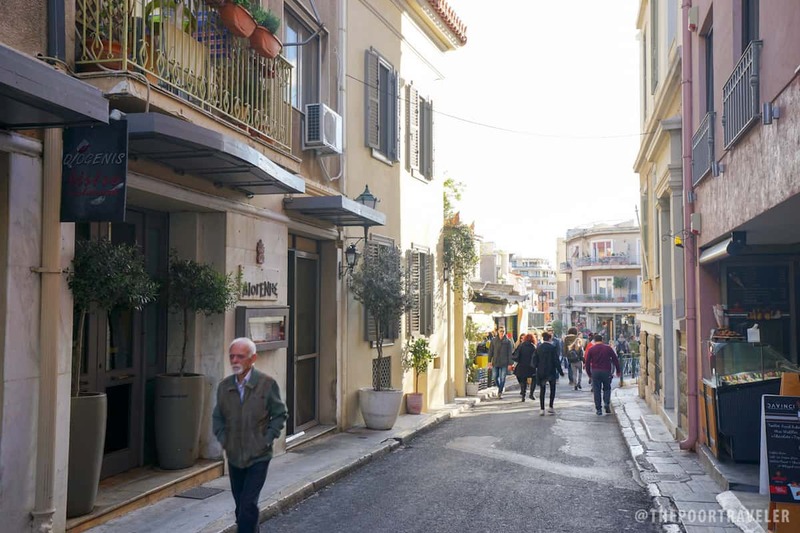 It fosters the same atmosphere as Plaka — old neighborhood in central location and brimming with dining options — but a bit less crowded. The best part about Monastiraki is that the nearest metro station (Monastiraki Station) is along Metro Lines 3 and 1. Why is it important? We all know how inconvenient it can be to make multiple transfers while carrying heavy bags. But Metro Line 3 will take you straight to the airport while Line 1 links it directly to Piraeus, where the ferry terminals are. If you’re coming from or going to the airport or seaport, this is a great choice! Thissio. Also at the foot of the Acropolis, Thissio lies just next to Monastiraki and has a very similar vibe. It has its own metro station (along Line 1). Koukaki. Located along Metro Line 2, Koukaki is served by Akropoli and Sygrou-Fix metro stations. Like the first three, it’s close to the Acropolis, but it’s much less touristy. Restaurants and cafes here cater more to locals, which can give you a more authentic experience. There’s also a farmer’s market every Sunday. Syntagma. Athens’s old commercial district. 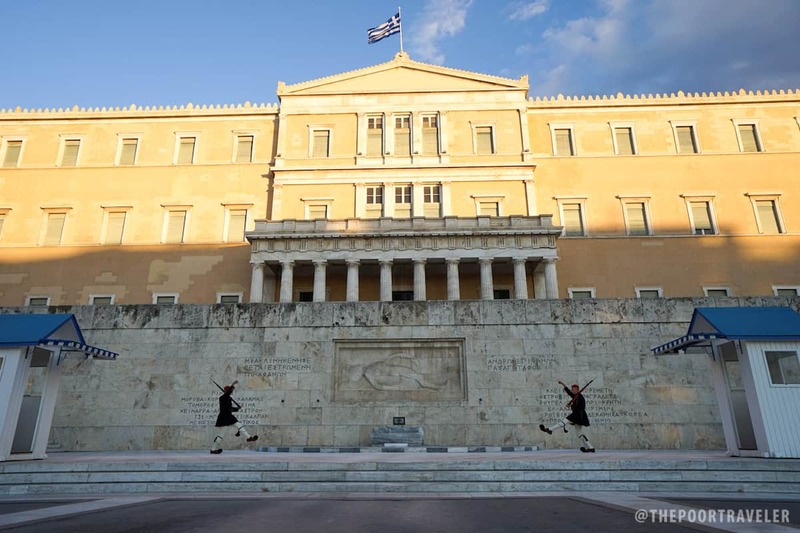 This is where you’ll find the historic Syntagma Square, which is a key tourist attraction in itself and is surrounded by Greek Parliament buildings and large hotels. 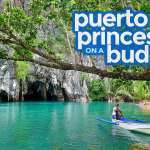 Here you’ll find everything a tourist needs, including travel agencies and souvenir shops. It’s also just a short walk away from the Acropolis. Syntagma Metro Station is part of Lines 2 and 3.  Again Line 3 is the airport line, which makes it an ideal choice too. 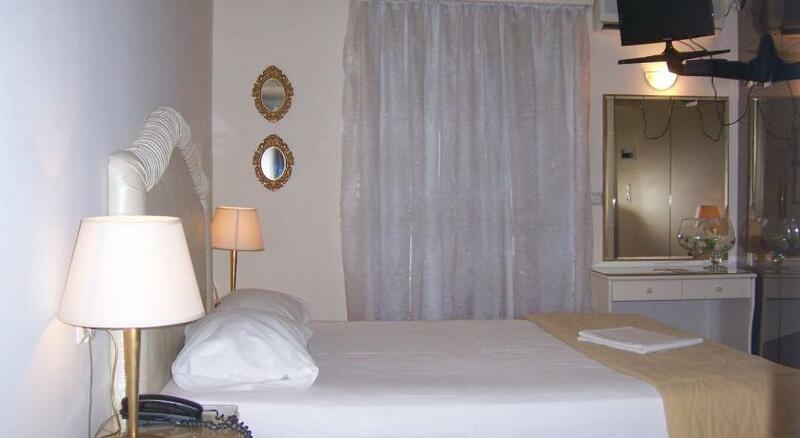 Here are the three best rated budget hotels in Athens as scored by Agoda. We only included hotels under €35 per night. Photos were provided to us by Agoda. 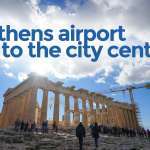 Compared to other major cities in Europe, Athens is much easier on the pockets. Most of the key attractions are located just next to each other. Should you need to take public transportation, the city’s integrated ticket system makes everything more convenient. The following sample Athens itinerary focuses more on the city’s historic core. 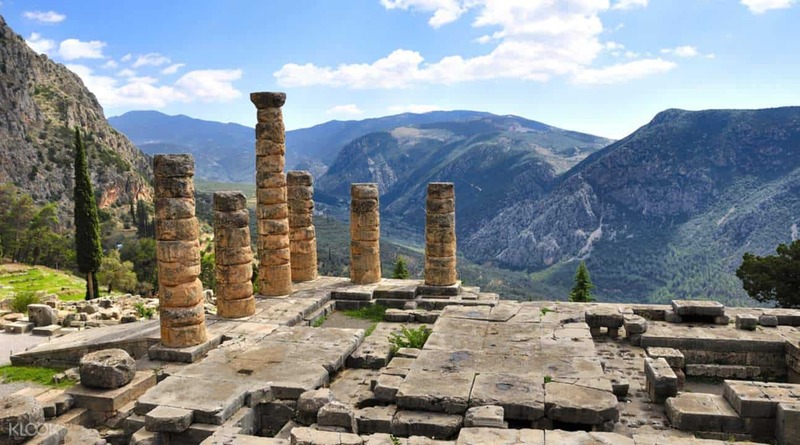 If you have more days, we strongly recommend that you take a day trip or overnight trip to another destination like Delphi, Mycenae, or even the Meteora/Kalambaka area. You’re staying in Athens for 4 days and 3 nights. 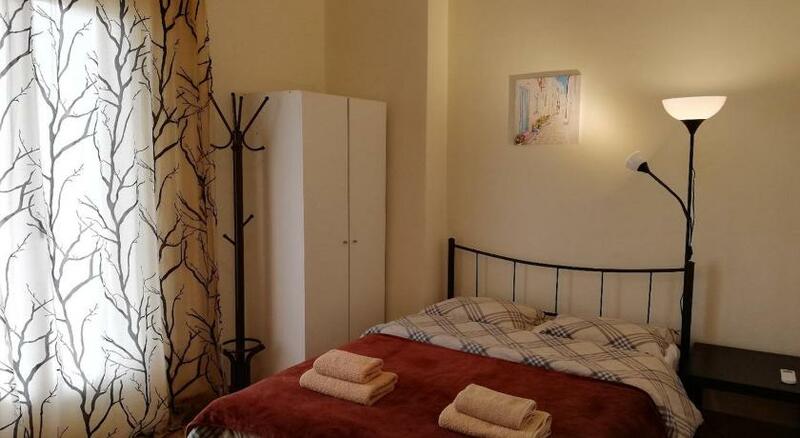 You’re sleeping in a dorm room in a neighborhood near the Acropolis. In this case, let’s assume you’re staying at Athens Studios. Cost: €15 per bed per night. Each booking comes with FREE breakfast. Your food allowance is €10 per meal. You can be flexible with this budget. You can dine at a proper sit-down restaurant and spend €15 for lunch but make adjustments for dinner, perhaps settle with a chicken gyro which costs between €2-4. If your hostel has an open kitchen, you can also hit the grocery, shop for ingredients, and cook your own food on some days. You’re flying to Athens with Scoot, and you’re scheduled to arrive on a Saturday at 9:20am and leave on a Tuesday at 11:45am. As always, feel free to make changes to this Athens itinerary to match your flight schedule and your personal preferences. 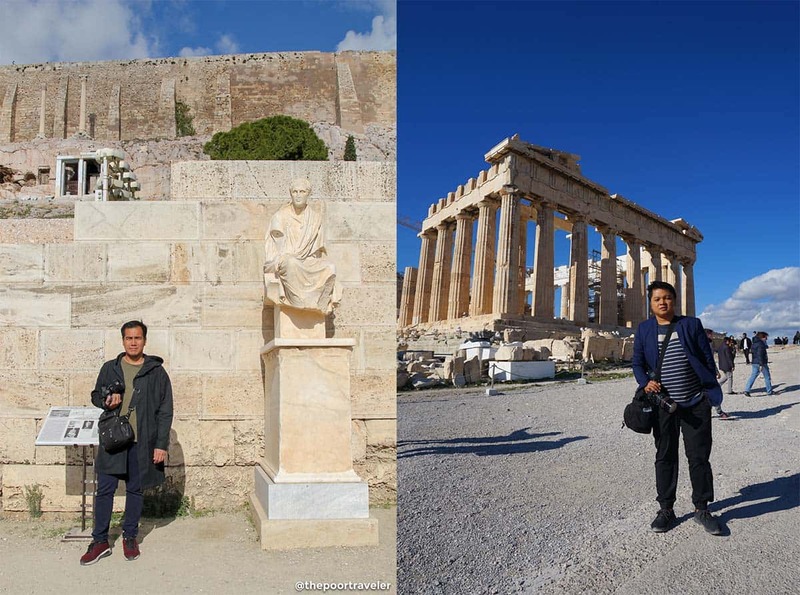 This Athens itinerary will set you back around €195 (USD 237, PHP 12,000) excluding airfare and visa fees. If you’re coming from Manila and you’re able to snag P10,000 one-way fares from a Scoot sale, the total expenses will be at P32,000. Walk when you can. One thing we love about Athens is that most key attractions stand just next to each other. To Kafeneio, a small eatery, is one of those you might want to try. Tipping. When eating at restaurants, locals usually just round up the bill. If your bill is €23.5, they usually just pay €25. 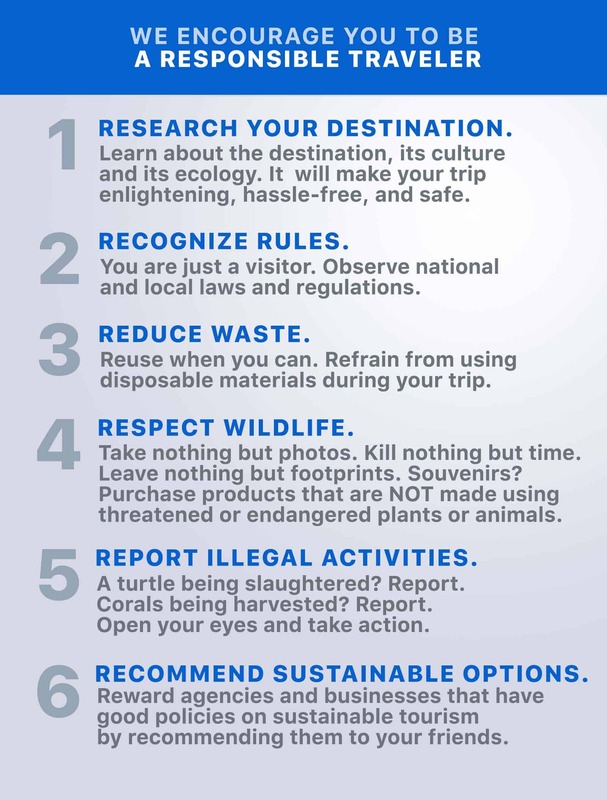 A tip of 5-10% of the bill is also common at touristy places. Try gyro and souvlaki. Beef or chicken gyro costs 2-4 euro, while souvlaki 4-6 euro. A serving usually comes with meat, onions, fries, and yogurt sauce. It’s cheap, filling, healthy, and delicious. Free entrance to museums and archaeological sites. Some museums in Athens can be accessed for free if your timing is right. 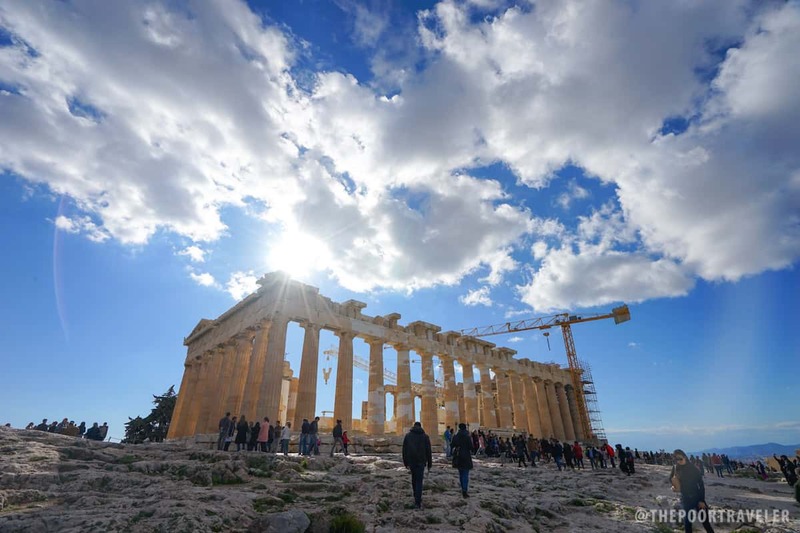 For example, the Acropolis waives admission fees on the following dates: March 6 (in memory of Melina Mercouri), April 18 (International Monuments Day), May 18 (International Museums Day), and the first Sunday of every month from November to March. Special Ticket Package. As mentioned above, if you’re planning on visiting multiple archaeological sites, you might want to take advantage of the Special Ticket Package, which costs only €30 but will give you access to a dozen attractions. In comparison, the Acropolis ticket alone costs €20. Cafes and Bakeries! The Athenians love their coffee. It’s not unusual to see 3-4 cafes in just a single block. Many of these cafes also serve dishes that are often much cheaper than a proper restaurant. Also check out the many bakeshops that punctuate the streets of residential areas. 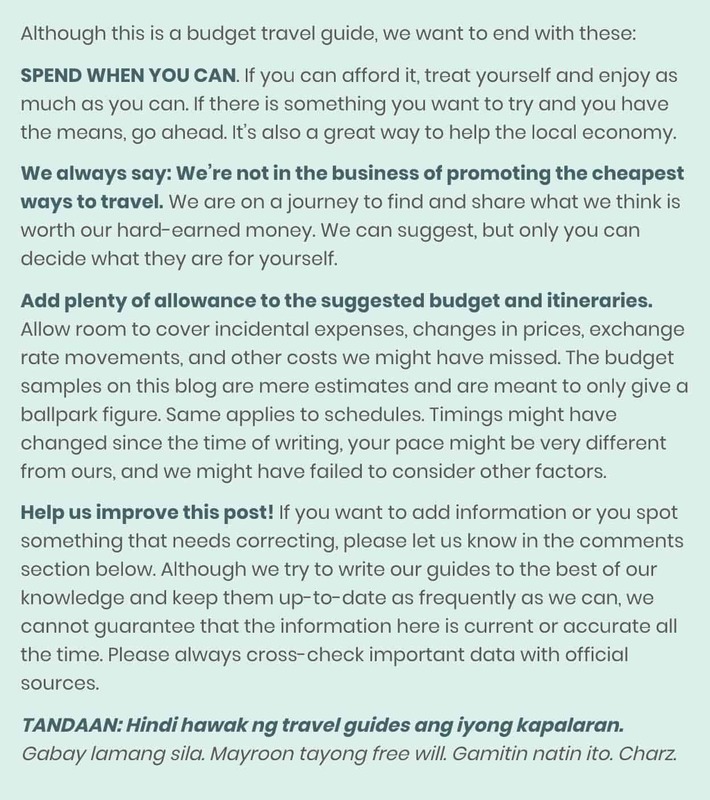 Although this is a budget travel guide, we want to end with this: SPLURGE WHEN YOU CAN. If you can afford it, treat yourself and experience as much as you can. If there is an upscale restaurant you really want to try and you have the budget, go ahead. If you want to stay at a pricier hotel but in a much better location and provides impeccable service, go ahead. Wow a great destination to visit and a place with a history. Thanks for sharing. Quick Question: If I arrive in ATH on May 15 and will be leaving on May 22, will the roundtrip train transfer from the airport to Athens be still effective? Will the ticket follow the time stamp? or only the date stamp? Also, if I can only visit one museum, which would be the best museum to visit? Acropolis Museum vs. National Archaeological Museum? Did you also go to Santorini? 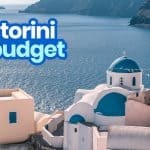 If yes, did you book your airplane ticket to santorini after getting a visa? But won’t the consul look for the ticket to santorini if it’s included in your itinerary? did you submit a copy of your employment contract? The HR only gave me a copy of my sss contributions. Should I just photocopy my only copy of my contract and submit it? Hi K-anne, yep you can submit photocopy of the contract. You can bring the original copy and show them lang and tell them you need the original back. Hello again. Ive been reading articles about pickpocketing in greece. Now im so worried since im a solo female traveler. Any tips about it? Hi K-anne, pickpocketing is rampant not just in Athens but in major European cities like Paris, Berlin, Barcelona, Rome.